Discussion in 'Health and Quackery' started by HappyMonday, Mar 16, 2013. The first time I became skeptical of microwave ovens was when I conducted a small experiment by myself comparing the growth of plants (from seedlings) watered with regular distilled water vs. water that had been microwaved. Much to my surprise those plants that had been watered with microwaved water did not grow, or grew very poorly. "...unnecessary daily exposure to radiation IF you stand right next to your microwave every day when it's running, or if your microwave's internal shielding is broken,". None of the men in the study got sick. The study was never published in a peer-reviewed journal. Tthe study has never been replicated. A sample size of four does not provide any significant information. Hertel since seems to have disappeared (according to Mercola, a “gag order” from the Swiss government silenced him), but his story is alive and well on the internet.The second “big name” in the microwave mythology story is James Kopp. Little information is available about his credentials – in most places, he is only described as “a U.S. researcher,” but his word has been taken as gospel by true believers. 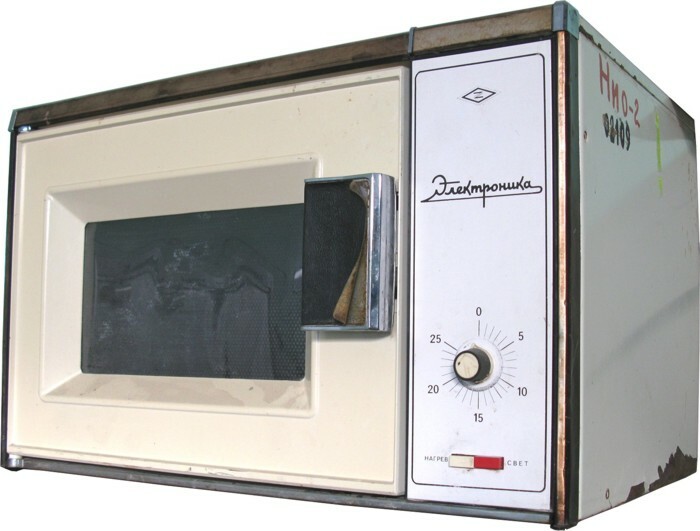 In a 1996 he published an article about the research of Russian scientists into microwaves – which supposedly led to banning microwave ovens in Russia. It refers to a small sample of frozen human (mothers) milk, rather than any baby milk as is implied by theclaim. It doesn't necessarily follow that this can be applied to all 'baby' milk, and how often do you microwave FROZEN milk anyway? In 2003, a Brazilian team found that heating milk to a temperature of 63 degrees C (X F) in a microwave can effectively pasteurize the milk and kill T. cruzi trypomastigotes, the organism that causes Chagas disease. In short, many studies have demonstrated that human breast milk that’s been heated in a microwave oven is… well… human breast milk that’s been heated in a microwave. I had a friend mention microwaves were bad, pretty much all those claims and they added that they are banned in Russia. I believe at one time they were and that it was mostly a political thing. It was on FB and me a couple other friends had to pull her back down to Earth. It was common practice for midwives to advise against warming baby bottles in the microwave due to potential hot spots forming in the milk. I was astounded to find some parents would whack the bottle in the microwave, with teet on, and then zap it until dead, and then shove it straight in the babys mouth without shaking it or anything. I have never had one, a microwave that is, and think they are one of the most pointless of kitchen appliances. It is not recommended to heat baby formula in a microwave, mostly due to the chance of uneven heating. If anyone has a microwave lol... I challenge you.... cook a suet pudding in there... it will come out lovely... the lightest fluffiest suet pudding you have ever had.... but don't eat it.... leave it for an hour, maybe less, and it will set like concrete. Tell me if I'm right or if I'm wrong... after you have done it. It's probably the microwave rendering the fat into tallow as it reaches a higher internal temperature. This will then set more solidly than regular suet which contains organic material. That reminds me of microwaving a bagel. Let it sit and it's like cement. I wouldn't want that in my stomach! However I do have a microwave and nuke just about everything EXCEPT bagels. I guess I'll stay away from suet pudding too, whatever that is. Sounds not yummy. I'm no avid debunker, or a perfectionist at quoting scientific data, but anyone who has nuked a cinnamon roll can tell you it's different than warming it in a toaster-oven without the need for bona fide scientific data. That doesn't mean the microwave bad for you! It's like cooking with steam vs. a conventional heat source. That roll just tastes like crap coming out of the microwave, at 100% power that is. I have however, lengthened the time, reduced the power to 40-50% with great success. Your example is like saying that because of the fact you can't toast bread in a microwave verifies the microwaves destructive power! btw, never heard of suet as a food item. And all this time my unlearned self thought it was just a staple of the hog calling contest! Live and learn I won't use one because I don't see the need for it, let alone whether it is bad for you or not. Suet is not as popular in the UK as it used to be. For those that don't know suet is the hard fat found around the kidneys, especially beef. It is one if my kitchen cupboard essentials and there is not a week when I don't do either dumplings or a steamed pudding. Eff that. I refuse to have one. My eldest son has just moved back after finishing uni. He said I could have his microwave. It is in the shed gathering dust. Irrespective what you cook it turns out shite. Not even sure if the microwave qualifies as cooking per se, but it has it's uses. I have a fairly nice one I bought used, and it's a quick and easy way to prepare my non-eco-friendly cup of highly processed noodles! I mostly use the MW for defrosting food. I did use it to make some instant mashed potatoes the other night. It was 106 and I didn't want to use stove --no AC. We use it for potatoes also and for corn. I find it very useful for making cold food hot. Empanada from Costco are frequently nuked in Casa West. Claim #1 in the meme is bogus. You're exposed to more radiation standing in the sun for two minutes than you'll probably receive in your lifetime from microwaves. Diddo for cell phones and power lines, btw. However, I am inclined to believe claim #3. Amino acids are really sensitive. They get destroyed by nearly all cooking methods. Why should microwaves be exempt? In regards to #5, it's hard to imagine that someone did a controlled study of that. Did they give two groups of people identical freezers full of pre-made food and ask one group to reheat in the microwave, the other using stoves and ovens? When I was about...at about, oh, 13 or 14 years old? My father was one of an early adopters of new technology. About the same time included the introduction of this new-fangled thing called a Micro-wave oven. Made by Amana at the time (my father could never pronounce it...he always said "Armana"....just as, at the time, he also referred to radial tires as "radio"tires....oh, well....). (Sorry about the "no-click" policy...didn't want to 'embed' it). A neighbor and boyhood friend across the street had a father who was an electrical engineer...and HE was adamant, back then, about the so-called dangers of an MW oven. This neighbor was a GOOD engineer...built a sailboat in his backyard, refurbished a player piano....etc, etc...he was no slouch. Needless to say....I've been in the proximity of MW ovens ever since....too often to recount the number of occasions. I doubt I've suffered any ill effects. (Please insert "joke" here: ____________________). I have cook everyone of my meals with my cheap little microwave for over 15 years straight as a personal act of diffidence against all those who claim they are dangerous and are harmful to your health. I can now claim that after my personal experiment that there are no ill effects at all of consuming thousands of meals prepared this way. BTW I've always used the microwave to warm up infant milk when needed (the real stuff, not formula, and later cow's milk). I don't see any reason not to. I just shake the bottle to make sure it's thoroughly mixed before checking the temperature. When I moved into my current flat 15 years ago I went from a fully furnished place to an unfurnished place that didn't have a cooker. Over the first year I was here I had buy everything, chairs, beds, the lot and a cooker was my last purchase, I did nearly two years just using a microwave to cook everything, and had no ill effects. I still use it as an extra cooking tool, hand to quickly warm up tins of beans, or to defrost stuff before it goes into the oven etc, and would be lost with out it. 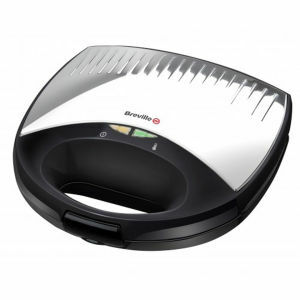 ...the greatest kitchen gadget ever in my opinion!! Pretty sure you shouldn't do that. Well, OBVIOUSLY you don't put metal containers NOR utensils INTO a MicroWave oven!!!!! I mean....who doesn't know this, by now....in 2015??? (Those guys, apparently...so sad...). I don't. Well I do really but I nearly did it the other day. Put a jar in the microwave, shut the door. thought whoops and opened it again and took the metal lid off before I started it. I really use my microwave for heating rather than actual cooking. Say I made a huge batch of bolognese and froze several portions, next time I have it, while the pasta is cooking I will heat the sauce from the freezer. It's just important to make sure things are evenly heated, so you have to stop and stir occasionally, JUST like you have to when it;s on the stove if you don't want it all burnt on the bottom of the pan. True true! Maybe I need to reword my comment. Oh now you are going to make me dig out the pictures of that time I made a packet mix cake at University. even if I hadn't had to use an odd shaped bowl and then had to cut off the strange bit that spouted in the middle, it would NEVER have looked like it did on the packet. It was a totally different colour. If you wanna have fun? Put an uncracked egg into a MW. (Just don't do it in one that you expect to clean up afterwards). Metal in the MW? Sparks are assured. Again....you can destroy the magnetron that powers ...and is the "heart"... of the actual device. The cavity magnetron is a high-powered vacuum tube that generates microwaves using the interaction of a stream of electrons with a magnetic fieldwhile moving past a series of open metal cavities (cavity resonators). Bunches of electrons passing by the openings to the cavities excite radio wave oscillations in the cavity, much as a guitar's strings excite sound in its sound box. The frequency of the microwaves produced, the resonant frequency, is determined by the cavities' physical dimensions. Microwave's are important scientific research equipment with a wide range of uses, nearly all of them involving explosions and sparks. William J. Beaty Electrical Eng. Are you a kid? Does your microwave oven belong to your parents? If so, then don't even THINK about trying any of these experiments. I'm serious. If I wreck my microwave oven, I can buy another. Also, I'm a professional electrical engineer. I know enough physics and RF effects to take correct safety precautions when I'm experimenting. But you don't know the precautions, so you should be smart: read and enjoy my writing, but don't duplicate my tests unless you grow up to become an electronics tech, engineer, etc., and buy your OWN microwave oven. Disclaimer: This information is presented for your information only. Anyone who tries to duplicate these demonstrations does so entirely at their own risk. There is a chance that you will damage your microwave oven. There is a chance that you will cause a fire. There is a chance that a heated object will explode. Heated water can unexpectedly burst into violent boiling. Messing with a microwave oven is stupid if you don't know what you're doing. Extra 'points' for you, sir...."Mister" Tar! ('Kids'? Do NOT try this at home....an extra disclaimer!!). Re: the bagel thing, I find most people vastly overdo nuking pastry or bread. It will always turn hard after it cools if you do. The simple solution is to use restraint. I bring leftover pizza to above room temperature in the microwave, then a 400 degree oven for a few minutes. Crust is soggy with just the microwave. This crisps it up without over browning. I've never seen anything that is scientifically valid that indicates microwaves are damaging. They're a tool. Use them correctly, and for the right purpose, and they're great. Know their weaknesses and their strengths. I've used a microwave almost daily since the first one was given to me in the late '80's. I didn't understand how to cook in a microwave yet and one of the first things I tried to cook was a pot roast. Needless to say, that experiment was a disaster! I haven't tried making suet pudding, but a microwave isn't meant to replace your stove and oven. Suet pudding might also not come out too good if you tried to bake it in a regular oven. Different tools for different jobs! Mostly what I use the microwave for is reheating coffee and food. It is my source of fast food. I rarely eat out due to food allergies and gluten intolerance, but I don't like cooking every day just for myself. So once every week or two I bake a large tray of chicken, a lamb or beef roast, a tray of sliced potatoes and onions, winter squash, yams, and/or cook up a big pot of brown rice. I eat some of whatever I've cooked for dinner, and then I freeze the rest in portion sized freezer bags. Then when I want a meal, I just go to the freezer and pull out what I want, put it on a plate, and reheat it in the microwave. It tastes just as good as it did the first day and it saves me from having to cook every day (except for maybe some fresh steamed greens). About the only things I actually cook (rather than reheating) in the microwave are whole potatoes, corn on the cob, and broccoli. Conclusion: I'll give up my microwave when you pry it from my cold dead hands! I wouldn't say the stuff I cook in batches like this tastes AS good as the first day, but it is certainly perfectly very nice, much nicer than any ready meal you would buy, and cheaper to boot.